Casting his eyes from the Bush administration's final months of plunder to the earliest days of the Republican revolution, Frank describes the rise of a ruling coalition dedicated to dismantling government. But rather than cutting down the big government they claim to hate, conservatives have simply sold it off, deregulating some industries, defunding others, but always turning public policy into a private-sector bidding war. Washington itself has been remade into a golden landscape of super-wealthy suburbs and gleaming lobbyist headquarters—the wages of government-by-entrepreneurship practiced so outrageously by figures such as Jack Abramoff. Stamped with Thomas Frank's audacity, analytic brilliance, and wit, The Wrecking Crew is his most revelatory work yet—and his most important. 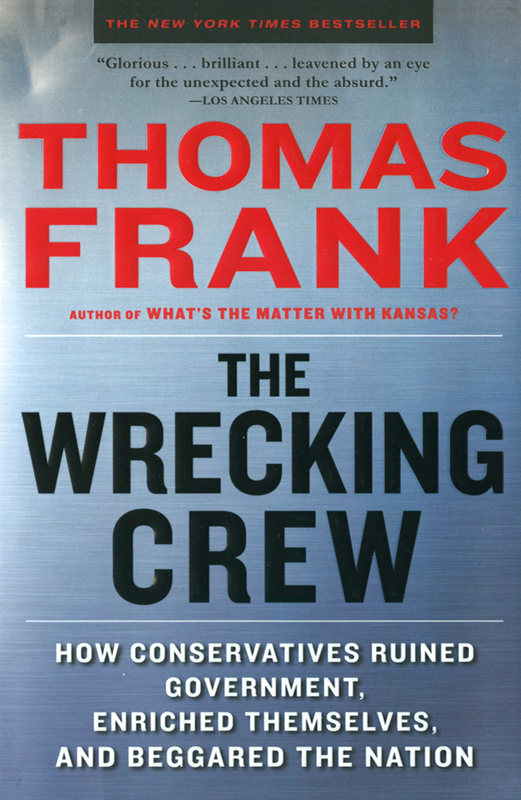 Listen to this audiobook excerpt from Thomas Frank's book The Wrecking Crew: How Conservatives Ruined Government, Enriched Themselves, and Beggared the Nation. The Wrecking Crew supplies the first and—lacking future fact-finding commissions—probably the only full reckoning of what conservatism has wrought. Casting back to the early days of the conservative revolution, Frank describes the rise of a ruling coalition dedicated to dismantling government. Thomas Frank is the author of Pity the Billionaire, The Wrecking Crew, What's the Matter with Kansas?, and One Market Under God. A former opinion columnist for The Wall Street Journal, Frank is the founding editor of The Baffler and a monthly columnist for Harper's. He lives outside Washington, D.C.